Volunteer Now to Enhance to our Cobb Community! In partnership with CAR Gold Affiliate Partner Ameris Bank, the Cobb Association of REALTORS we has once again raised the funds necessary to participate in two Habitat for Humanity Build Days, on Saturday, February 16 and Saturday, February 23, at 1087 Old Bankhead Hwy, Mableton 30126. Lot 2. The home is being built for Mr. Olin Hanner – click here for his bio and click here for a video! This support for Habitat for Humanity follows our renewed involvement in 2018. 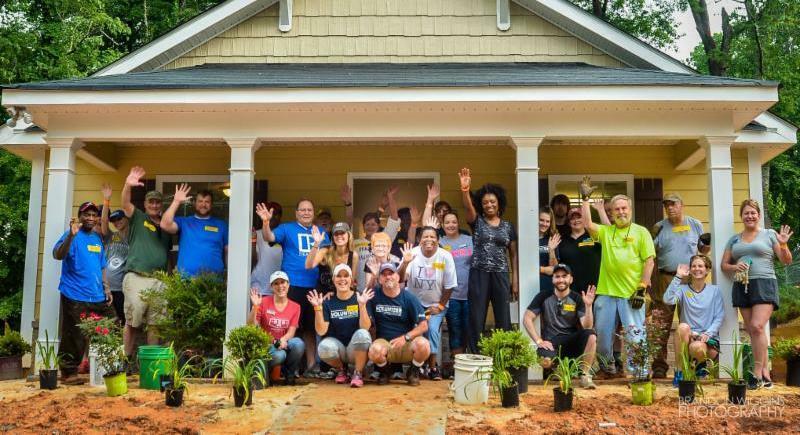 Given our Cobb Association of REALTORS® mission to advance the prosperity of our Cobb County community, and our singular and pivotal involvement in the real estate industry, 2017 CAR President Marilyn Cheney set a goal to participate in a Habitat for Humanity Build in Cobb County in 2018. Through the efforts of our MMDC, Golf and Affiliate Committees, were able to raise the necessary funds, and were able to do the same for 2019. Click here to visit our Habitat 2019 Website Page to learn more about this event, and for instructions on how to volunteer and register for our Build! Thank you for your support of our core Community Involvement event! Braves Game & Tailgate Vs. The Pirates!